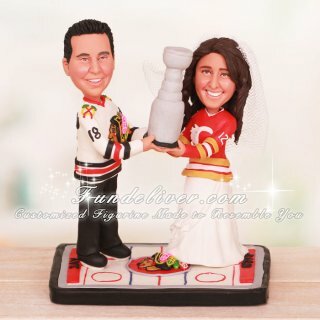 This is a completely customized jointly holding the Stanley Cup hockey wedding cake topper ordered by one of our customers. They would like the groom to be wearing black tuxedo pants and Blackhawks jersey with name FEINGOLD number 18 on the back. For the bride, they would like her to be in wedding dress with Calgary Flames Jersey on the top and name FEINGOLD number 18 on the back of Flames jersey. 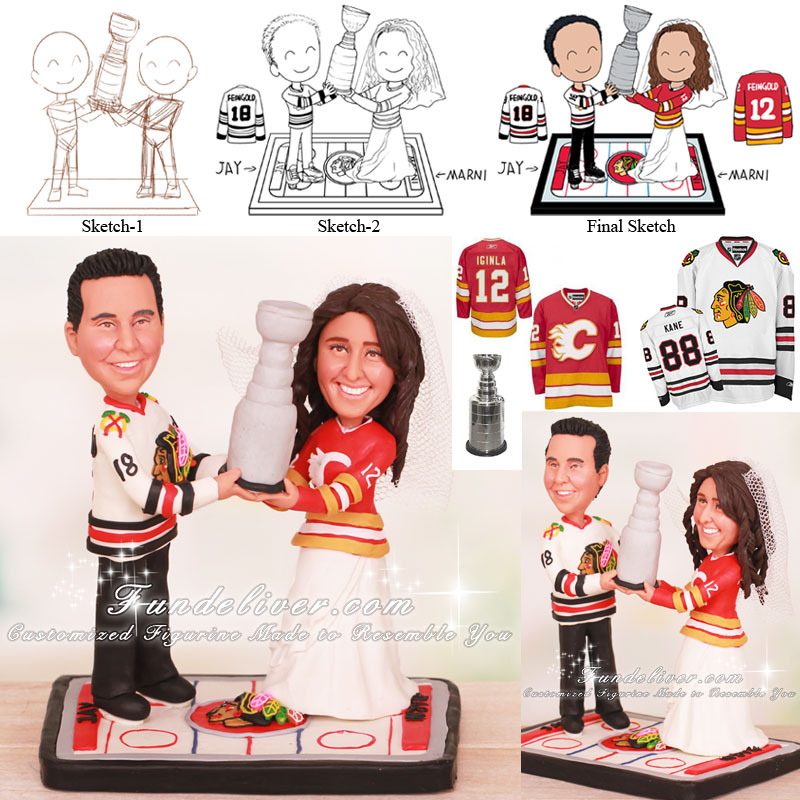 For the pose, they would like the couple figurines to be jointly holding the Stanley Cup, standing on a hockey rink with the Blackhawks logo in the center of the ice and the words MARNI and JAY at the respective ends.